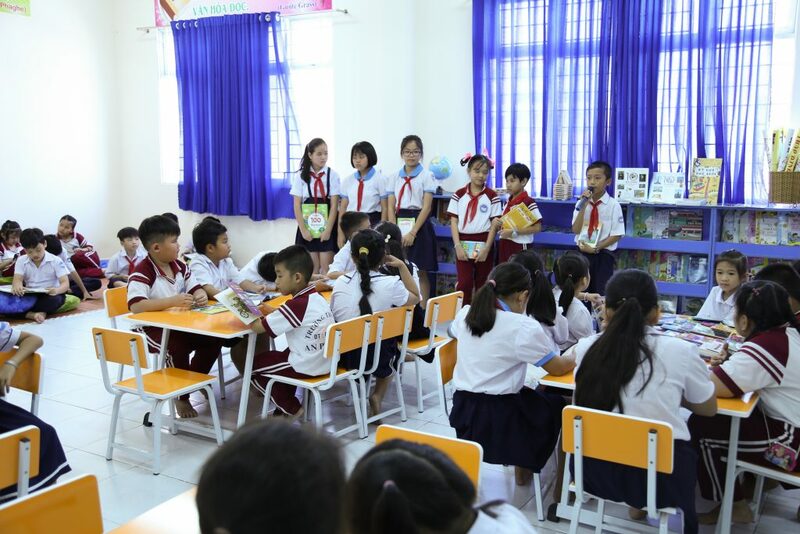 This beautiful library, which has 1,050 Vietnamese language children’s books, was donated to An Phu Tay 2 elementary school in Binh Chanh district, Ho Chi Minh city. With the financial donation from Mekong Capital, The Library Project has brought this reading room to life. The donation impacted 1,211 children and 46 teachers. 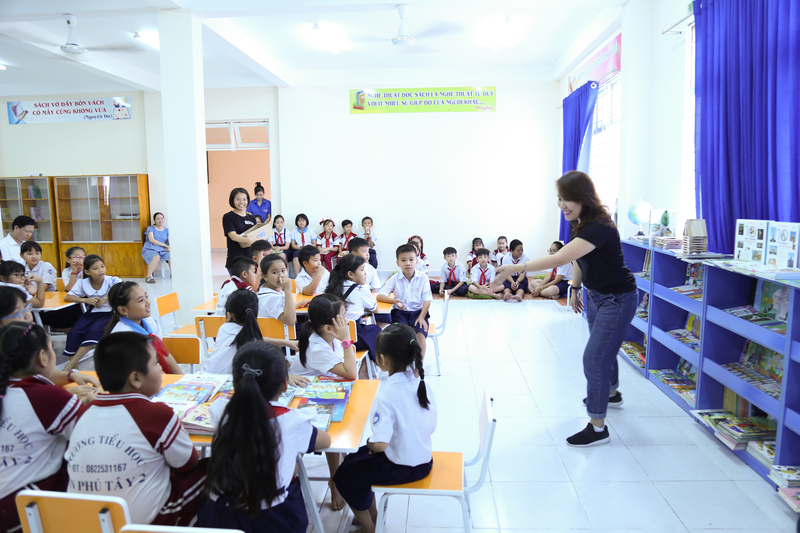 Members of The Library Project and Mekong Capital organize activities for young students in An Phu Tay 2 elementary school. 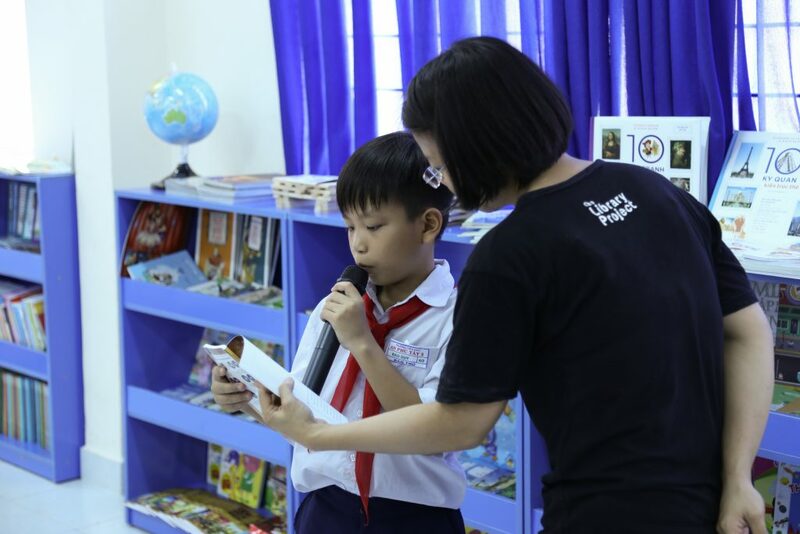 During the donation, a Literacy Program was conducted, in which TLP staff tell stories for children and six young students took part in a story telling contest. They also got to witness a fun experiment with colored water drops. Everyone was excited and eager to read STEM books to learn more about it. “Today I’m very happy with our new books and games. I hope we can have more days like this.” – a kid told us during the Literacy Program. It is our hope that this excitement will last as they find their love for reading in this fun and safe place. The children were thrilled with all these new age appropriate books teaching them about science, environment, bravery and kindness. These books are also a great resource for future story-telling competitions among schools, according to a librarian. 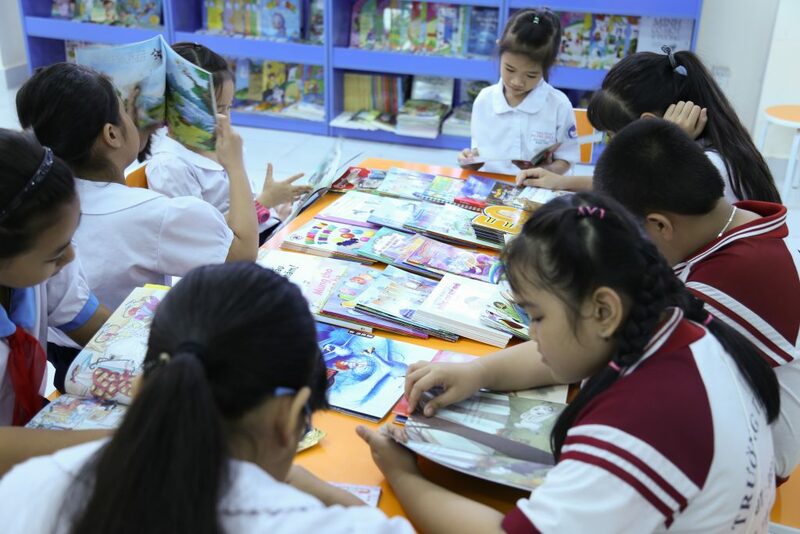 “The infrastructure of this school is good, but we only have a small number of books inside. 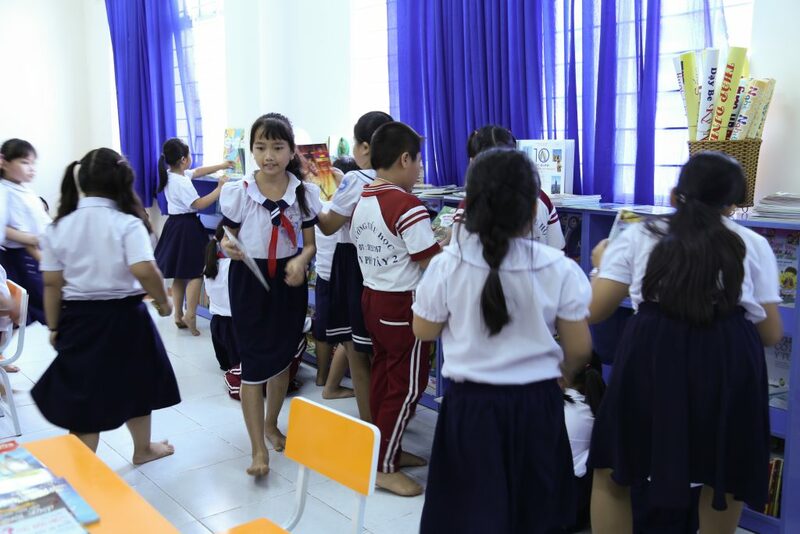 This donation is a big help for both our school and the kids.” – said the Principal of An Phu Tay 2 elementary school. 6 young students compete for the title of best story teller. Ms. Thuy, a TLP staff, helps a four-grader reading book. A TLP volunteer shows students a fun experiment with colored water drops. Mekong Capital is a Vietnam-focused Private Equity firm, specializing in consumer driven businesses. Established in 2001, Mekong Capital invests in fast-growing companies, with ambitious expansion plans; it is strongly committed to adding significant value at each of its investee companies. More importantly, Mekong Capital’s purpose is to “Reinvent​ Private Equity, generating breakthroughs​​, wealth and fulfillment”. 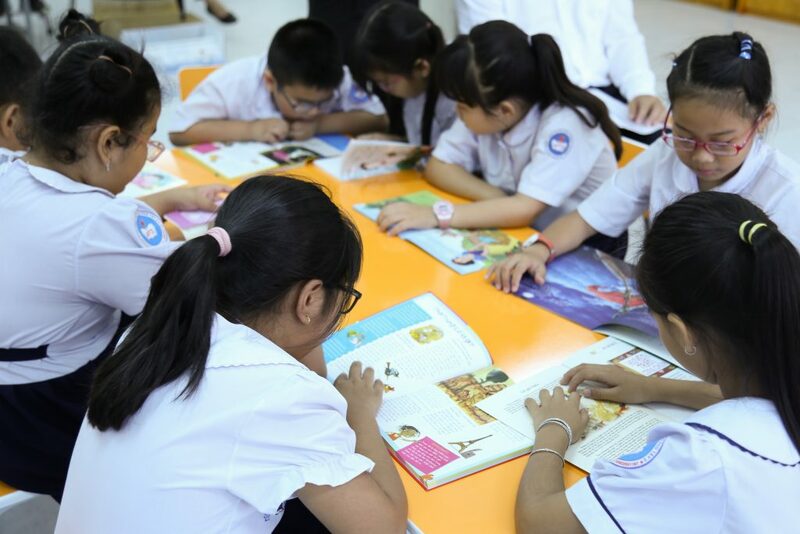 In partnership with The Library Project, Mekong Capital has implemented The Mekong Capital Library Project as one of Six Forces activities – Future Changer, which commits to enable disadvantaged children to have access to a better future. 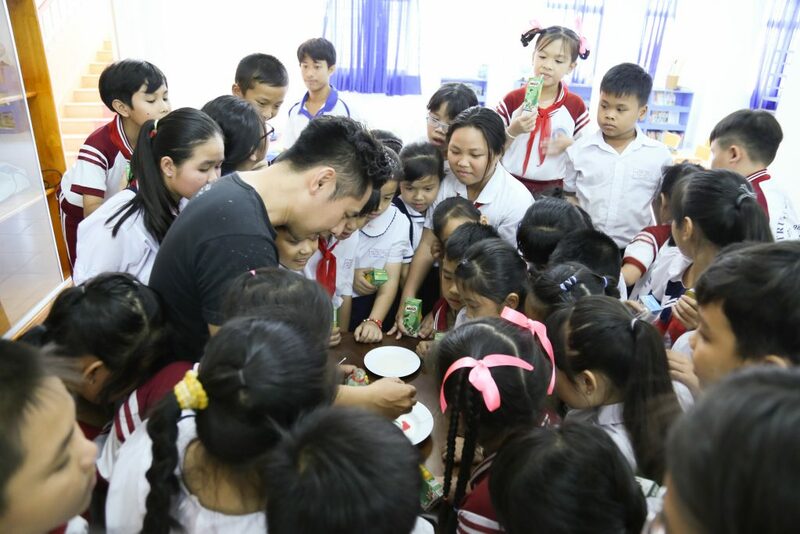 The project specifically focuses on improving rural children’s literacy in Vietnam. 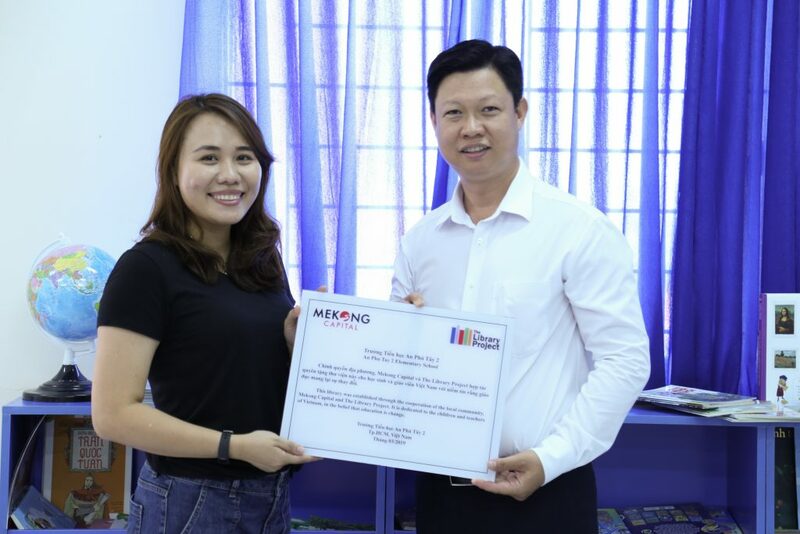 Ms. Nguyen Thi Minh Giang, Director of Talent & Culture of Mekong Capital hands the donation sign to Mr. Pham Trung Nhan, Principle of An Phu Tay 2 school. 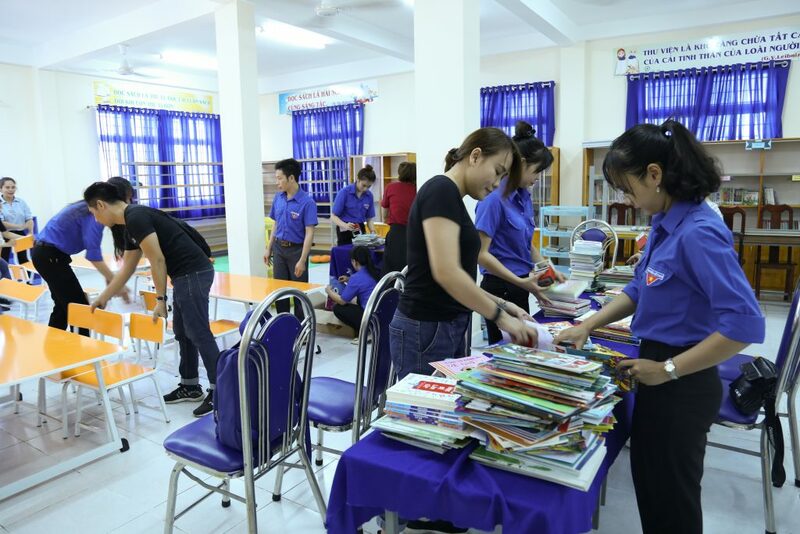 Mekong Capital’s staff joined hands to load children’s books, setting up tables, chairs and posters. Fun activities for kids were also organized by both team members. This is their first library donation with The Library Project, but the impression it left in both members’ memory is precious. 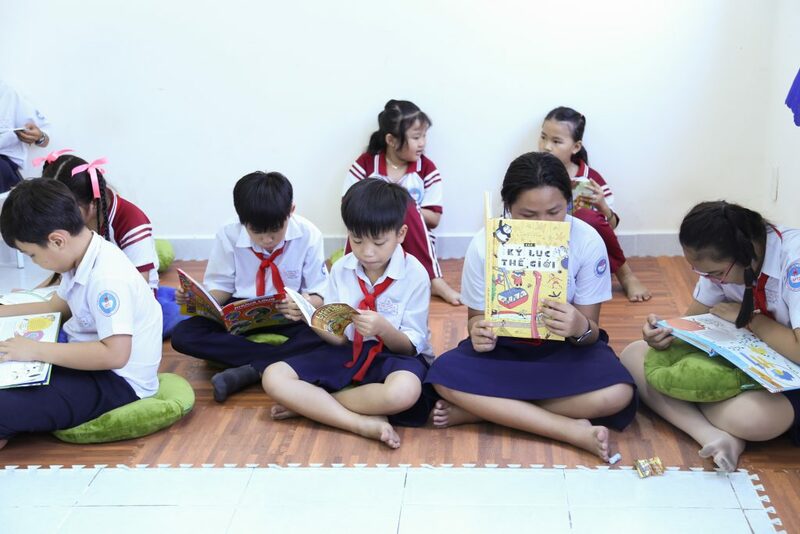 As Ms. Hoang Hac, an employee of Mekong Capital said, “Nothing beats seeing their passion in reading, to be honest.” To both organizations, this is not an one-day-off event but a fundamental kick-start for children’s future. The beautiful thing about a school library is it lives, it stays just as relevant on day one as it will ten years into the future. 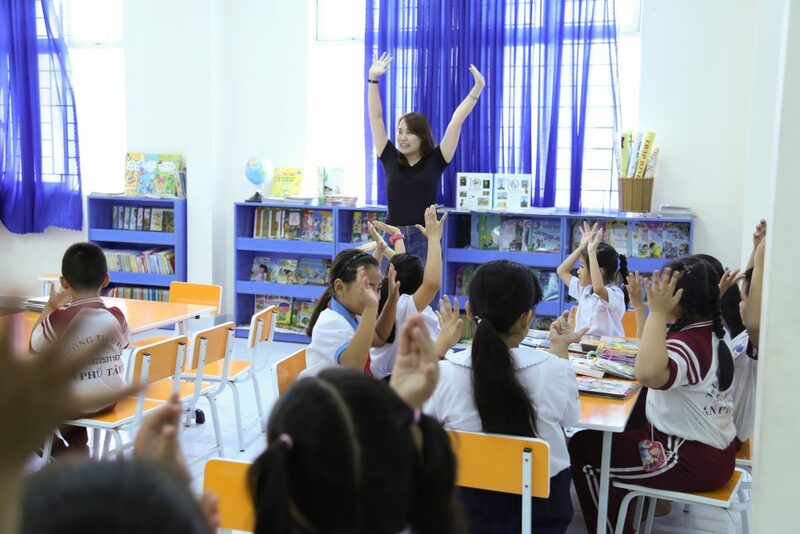 The Library Project is a 501(c)(3) organization that donates children’s libraries to underfunded, rural schools and orphanages in Asia. We also conduct Literacy Programs and Teacher Trainings. To date, we have donated over 2,600 libraries, trained over 30,000 teachers and impacted over 1 million children. To find out how you or your company can be involved, please visit our website.